Are you a small business owner who is struggling with competition and trying to find new ways to improve your business returns? Then you should definitely use social media marketing as it can help you to reach out to a large base of customers and develop your brand. You might think that social media marketing is something that is meant for only large business firms but you could not be more wrong. Numerous businesses have already improved their ROI with social media marketing and you can do so as well. Here are the top 10 reasons as to why should you consider investing in social media marketing. With effective social media marketing, you can enjoy the fruits of greater brand recognition within a small span of time. You can make new customers easily and offer better products and services to your existing customers. Social media helps you to reach out to a large base of potential customers rather easily. When you have an active presence in multiple social media sites, it can only lead to further brand recognition and increase brand reliability. 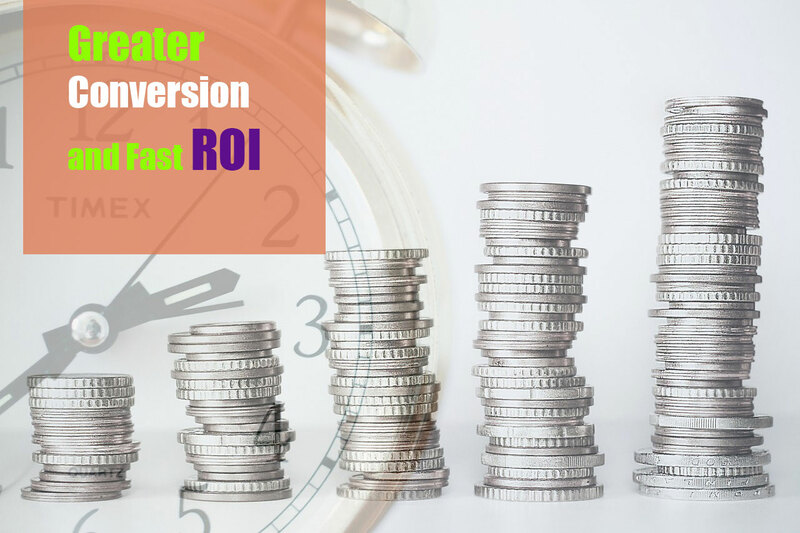 Without accelerating conversion rates, it would be difficult for you to boost the financial returns of your business. Social media marketing helps you to enhance your conversion rates and allows your customers to know the human side of the company behind the brand. This is something that you will need when you are looking to boost brand engagement and confidence. As most buyers these days only communicate with a company through the technical side of their online presence, having a strong social media presence helps you to show your customers that you care for them. Lead generation is vital for optimum business results. When you share posts on different social media accounts, it actually helps you to generate more leads for your company. With the right kind of social media marketing, you can have access to old and new customers and even appeal to potential first time customers who may want to try out what your business has to offer. As you post more amounts of high quality content on social media, your inbound traffic is going to soar even higher. With more traffic you naturally have greater number of conversions. It has also been found that social media marketing can greatly boost rankings in the search engine result pages. It is a well known fact that social media marketing can help in enhancing brand loyalty. With social media you can connect with your target audience and help you to make sure that they become loyal followers of your business for many years to come. A major reason why many small business owners fails to make their mark while competing with big names is that they find it incredibly difficult to keep up with the high end marketing strategies that are adopted by the large firms. Such marketing methods require a lot of money and not everyone can afford to spend such a hefty sum. However, compared to traditional marketing techniques, social media marketing can be used by practically anyone and it is this that makes it possible for them to have the edge they want against their competitors. Once you open up social media profiles with leading platforms like FaceBook, YouTube, LinkedIn, Twitter and Pinterest, you can find that your business prospects enhances in a short time. One of the main reason for you as a small business owner to try out social media marketing is that it can very easily bring down your marketing costs to a great extent. Most of the social media channels allow business owners to make free profiles. You can then hire a digital marketing agency to maintain your profile and post top quality content on a regular basis so that it generates interest among your audience. However, even though maintaining social media profiles incurs a cost, the total expenditure is still much less than what you may need to pay when you use traditional methods of advertising. You can then save a lot of money and put such resources into better use. When you use social media advertising, you get to directly interact with your current and potential customers on a regular basis. This means that you get to develop a fair idea about their preferences, needs, likes and dislikes, buying tendencies and information on demographics. Such knowledge can come as extremely handy when you are looking to build your business and promote it through social media. Social media is a highly aggressive platform when it comes to sharing information. In fact, news about your business can spread like wildfire within just a few hours. This is much better than other advertising methods that may take many weeks for you to get noticed. Social media is a great way to communicate with various industry experts and other business owners. These can help you to get connected with new distributors and also form strategic business partnerships that can be beneficial for your company. It can also help you to come up with new plans and ideas which may help you in generating better business results in the long run. Previous Previous post: Why does your Business need a Website? Next Next post: How Social Media can Benefit SEO!